In true street art style caricature artist Eddie brings summer fun to his art. Here are some recent works. 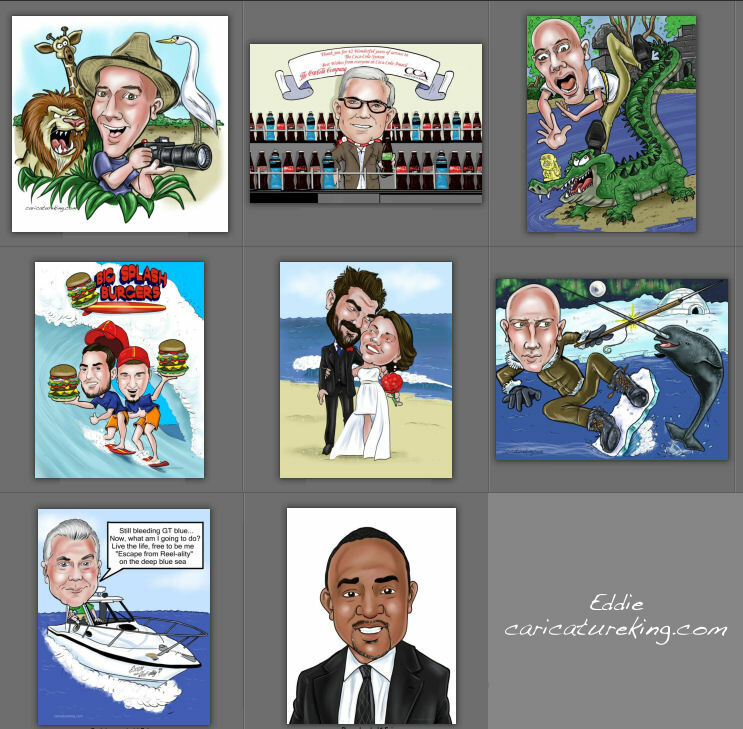 Great for any gift giving occasion, so if you need a gift idea for retirement, wedding or birthday, think caricatureking.com and Eddie.